1. 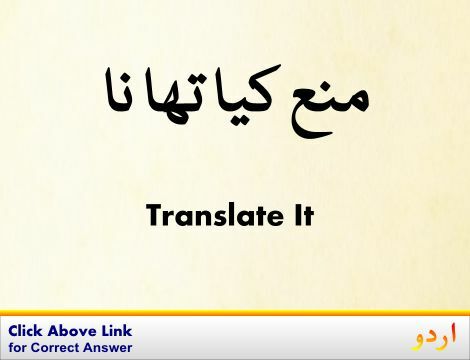 Hit, Hitting, Striking : ضرب : (noun) the act of contacting one thing with another. Repeated hitting raised a large bruise. After three misses she finally got a hit. Crash, Smash - the act of colliding with something. 2. Hit, Collide With, Impinge On, Run Into, Strike : ٹکرانا : (verb) hit against; come into sudden contact with. Stub - strike (one's toe) accidentally against an object. 3. Hit, Bang, Smash, Smasher, Strike : کامیابی : (noun) a conspicuous success. That song was his first hit and marked the beginning of his career. Success - an attainment that is successful. 4. Hit, Collision : ٹکراو - تصادم : (noun) (physics) a brief event in which two or more bodies come together. 5. 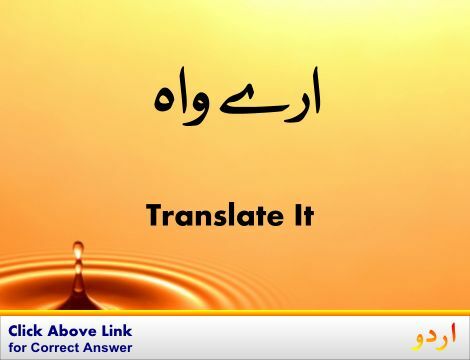 Hit, Arrive At, Attain, Gain, Make, Reach : پہنچنا : (verb) reach a destination, either real or abstract. We hit Detroit by noon. 6. Hit, Strike : آ پڑنا : (verb) affect or afflict suddenly, usually adversely. We were hit by really bad weather. 7. Hit, Pip, Shoot : میزائیل داغنا : (verb) hit with a missile from a weapon. 8. Hit, Stumble : اتفاق سے ملنا : (verb) encounter by chance. Come By, Come Into - obtain, especially accidentally. 9. Hit, Rack Up, Score, Tally : اسکور کرنا : (verb) gain points in a game. He hit a home run. Compete, Contend, Vie - compete for something; engage in a contest; measure oneself against others. 10. Hit, Come To, Strike : طاری ہونا : (verb) cause to experience suddenly. An interesting idea hit her. 11. Hit, Strike : حملہ کرنا : (verb) make a strategic, offensive, assault against an enemy, opponent, or a target. 12. Hit, Bump Off, Dispatch, Murder, Off, Polish Off, Remove, Slay : قتل کرنا - مار ڈالنا : (verb) kill intentionally and with premeditation. 13. Hit, Strike : مارنا : (verb) drive something violently into a location. He hit his fist on the table. Displace, Move - cause to move or shift into a new position or place, both in a concrete and in an abstract sense. 14. 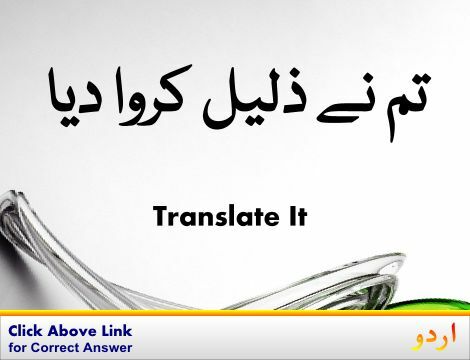 Hit, Attain, Reach : پہنچ جانا : (verb) reach a point in time, or a certain state or level. The thermometer hit 100 degrees. Arrive, Come, Get - reach a destination; arrive by movement or progress. 15. Hit, Strike : بٹن دبانا : (verb) produce by manipulating keys or strings of musical instruments, also metaphorically. Touch - make physical contact with, come in contact with. Hit Home : متعلق ہونا : refer to or be relevant or familiar to. Historiographer : مورخ : a person who is an authority on history and who studies it and writes about it. How this page explains Hit ? It helps you understand the word Hit with comprehensive detail, no other web page in our knowledge can explain Hit better than this page. 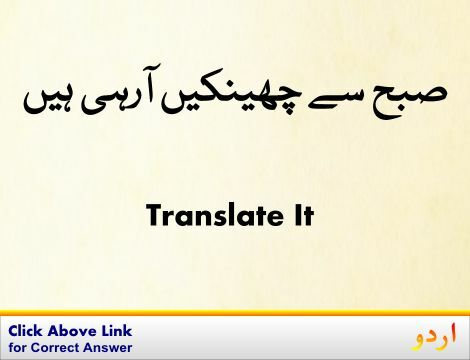 The page not only provides Urdu meaning of Hit but also gives extensive definition in English language. The definition of Hit is followed by practically usable example sentences which allow you to construct you own sentences based on it. You can also find multiple synonyms or similar words on the right of Hit. All of this may seem less if you are unable to learn exact pronunciation of Hit, so we have embedded mp3 recording of native Englishman, simply click on speaker icon and listen how English speaking people pronounce Hit. We hope this page has helped you understand Hit in detail, if you find any mistake on this page, please keep in mind that no human being can be perfect.